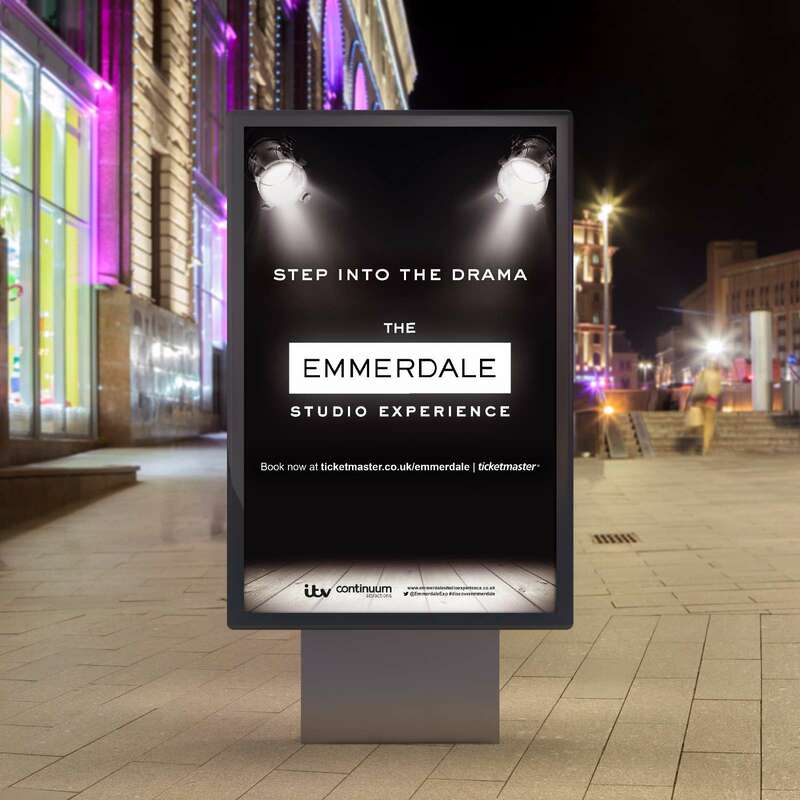 Continuum Attractions briefed AKA to develop the media and creative campaign for the launch of The Emmerdale Studio Experience in Leeds. AKA developed a concept featuring the brand at the centre of the creative in order to engage with audiences and fans. 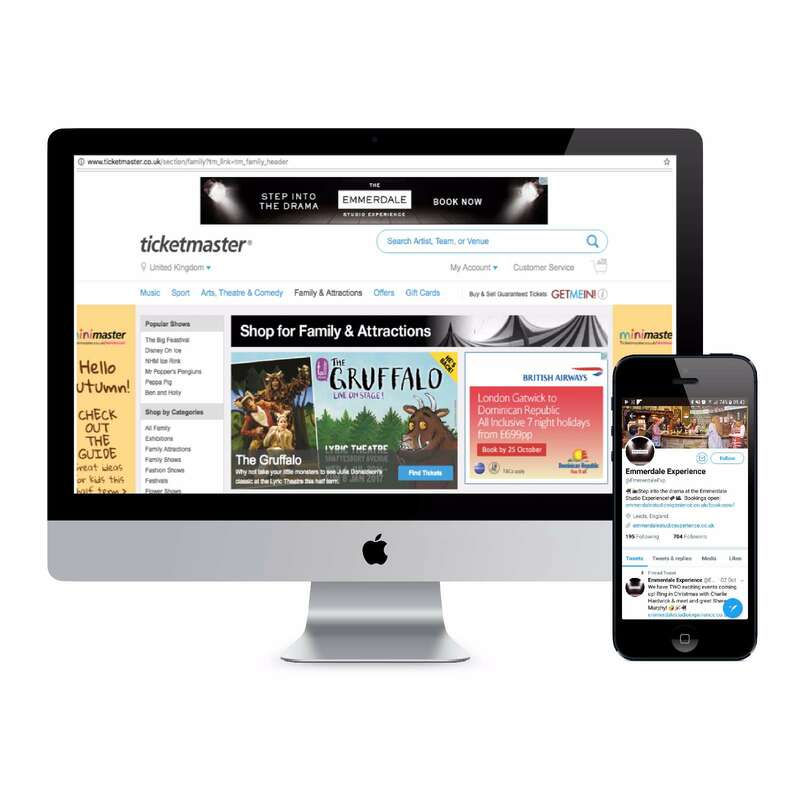 The creative was designed to work across various out-of-home, digital and press formats. The media campaign aimed to reach consumers across a number of key touchpoints from impactful out-of-home formats to local press advertising and digital.